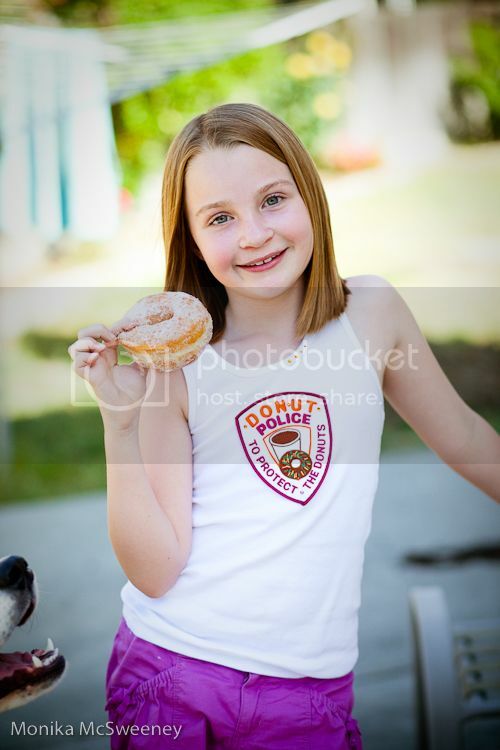 Grace chose to wear this fun tank from Paper Lili yesterday. 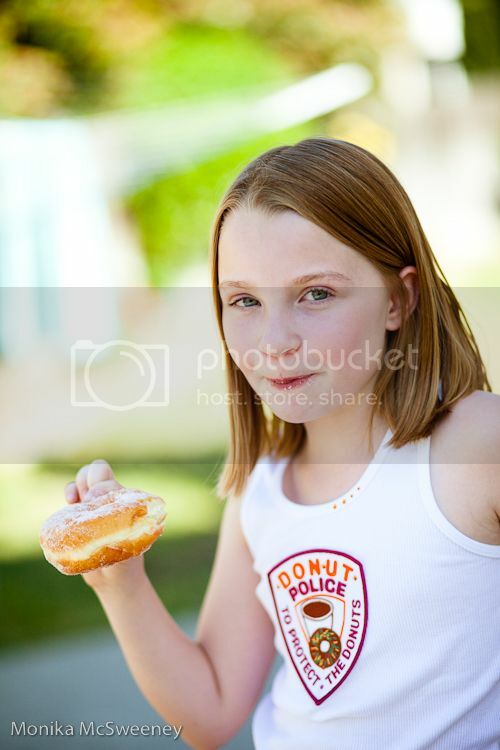 I simply had to get some donuts for an after school snack! It was also our first HOT day of the season and my van's air conditioning decided to die. Those two things combined make for a rather rosy looking kid, lol. 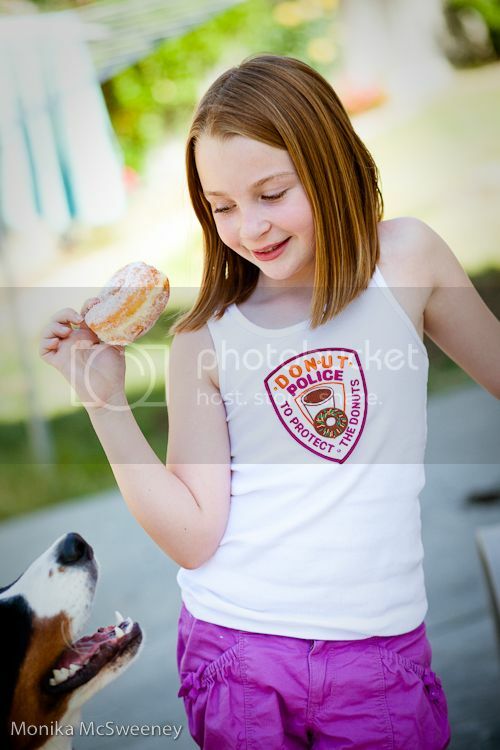 See that snout in the bottom left corner... that would be Claire eyeing Grace's donut. 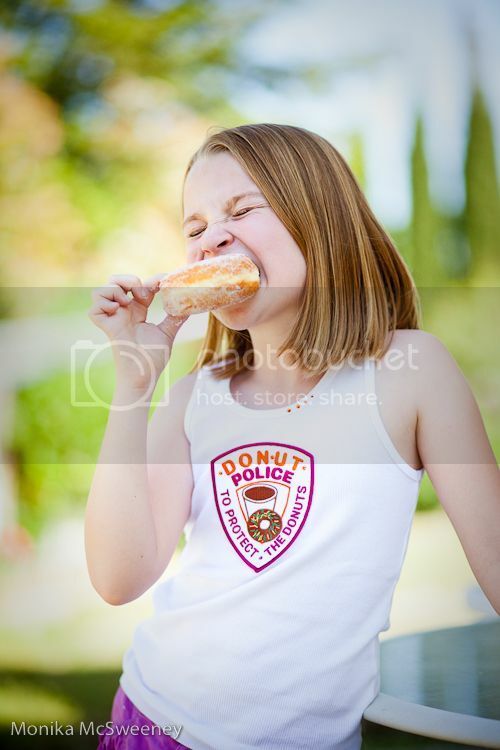 I guess she can't read, otherwise she wouldn't mess with the DONUT POLICE =D! ... and she jumps for it!! Nooooo! 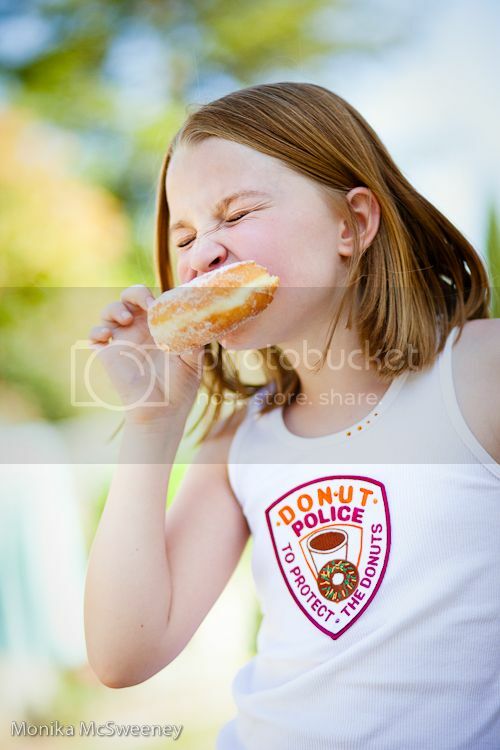 But the Chief of Donut Police has everything under control. 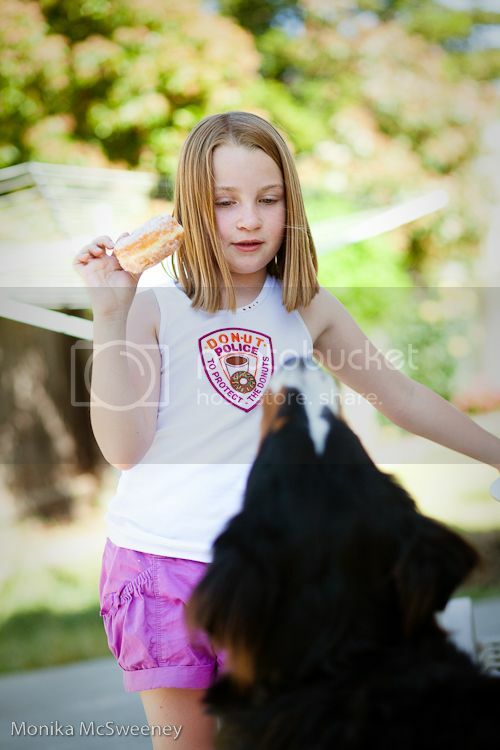 No donut for the doggie. Nope. 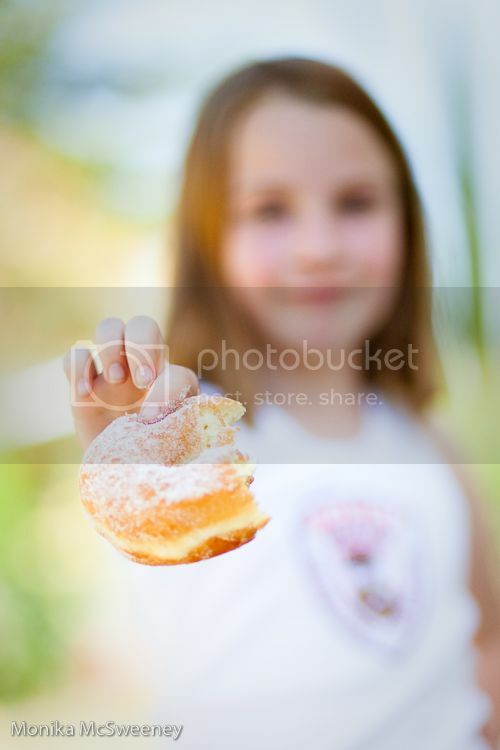 It's all for her to enjoy =).